Well it is almost the end of February and I haven’t posted any new projects that I have been working on. Last year I set out on a new project for myself, to learn a new hobby and the new hobby I decided to start to learn is wood working. This is been pretty fun so far I have refinished and redone a butcher block table and now working on 3 chairs. I have not yet attempted to build anything as I am still learning the ends and outs of wood working. 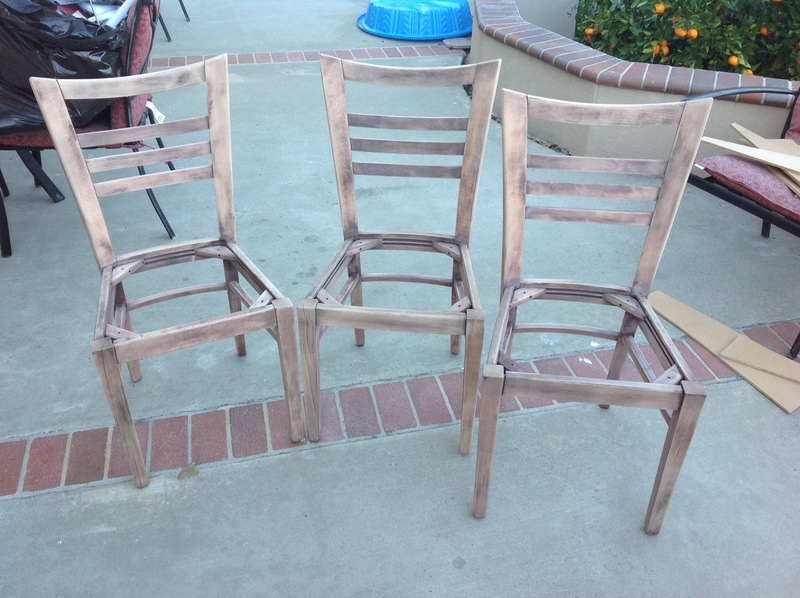 But here are some pictures of my the 3 chairs that I have stripped of all the varnish and paint along with the removal of the pads that where rotting due to water damage. 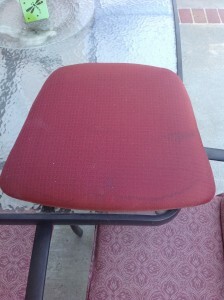 This chair is one of 3 chairs that a friend of mine gave to us when they moved. The chairs seat had lots of water in it and was starting to rot and mold. 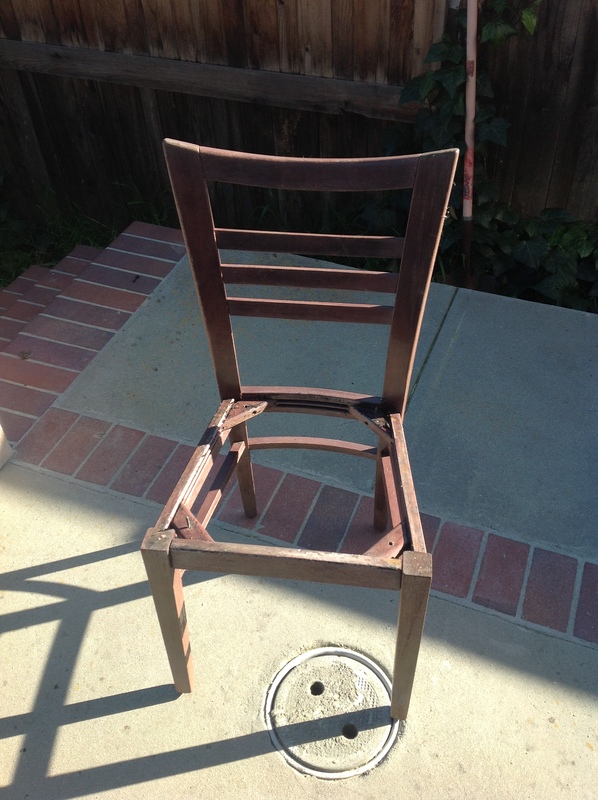 We removed the seat and let the wood under the seat dry for 24 hours. This is what it looked like after the seat had 24 hours to dry. 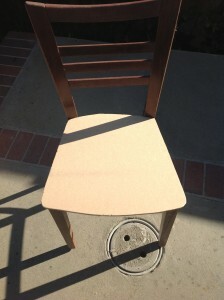 This is the wooden chair minus the seat. This is the Chairs seat bottom as you can see there is some water damage to the seat it doesn’t look to bad but there is mold growing inside in the particle board. Also in the picture of the top of the seat you can’t really tell there is any water damage done to the top but it is super heavy also due to so much water in it. So we decided to toss this seat in favor of just replacing the whole seat. 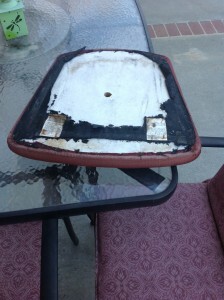 This is the Chairs old Seat that is water Damaged. Because the base of the seat was all water logged and rotting we decided to remove it and replace it with a brand new one. This is strong particle board and is able to hold about 200+ lbs on its own over a large gap so at the small gap that is in the middle of the chair it will hold a grown man no problems. So after making the first base I used that template to cut out the rest of the seat bases a total of 4 in all where cut out of the particle board. 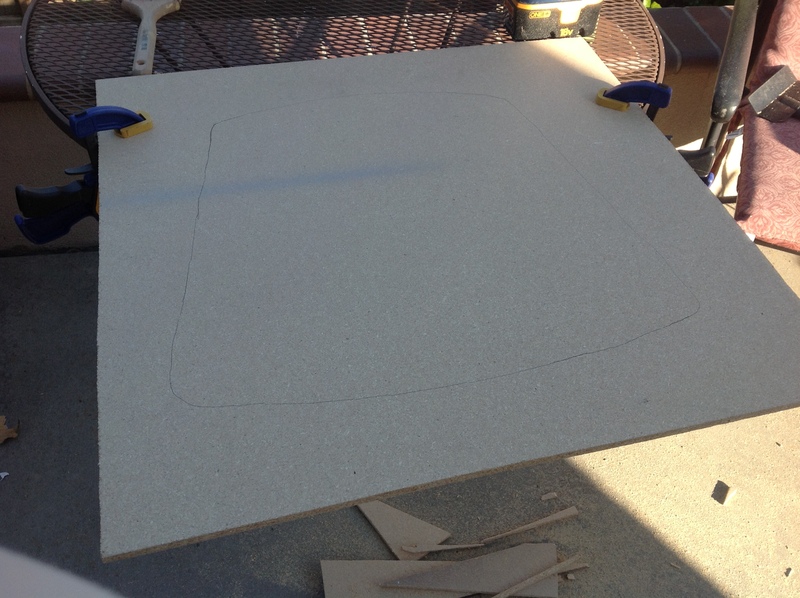 Here is the template for the Chair base that I was creating had to cut out 4 of them. This is what the new seat base looks like when its on the chair. Looks rather nice and it is very strong also. It felt comfortable when I sat down just on this with no padding. 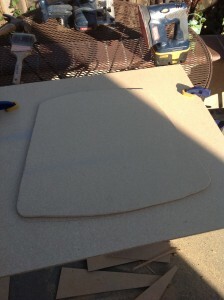 I know that it is not all perfectly rounded but hey when your only using a circular saw and a hand held sander then you do the best you can and I believe that I did the best with what I had. I would like it to be known that if I had a Jigsaw this would have been 100 times quicker and easier. 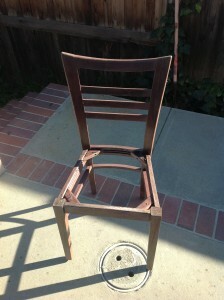 Here is what the new Base will look like in the old Chair. After all the bases where done then all that was left to do was sand down the chairs. This took me about 30 minutes per chair but the end result was very nice and came out looking rather clean if you ask me. 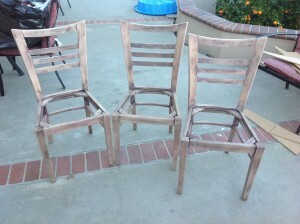 Here are the 3 Chairs sanded time to now paint them which will be in part 2. Part 2 will be posted up in March as the final product will not be completed and painted will this Saturday. I will have pictures of the finished seats in part 2 but we forgot to take pictures through the process so we only have the final product of the seats. Let me know what you think in the comments below. This entry was posted in Family, Personal, Projects by Scire. Bookmark the permalink.